Catoverboon 008 was purchased by Kevin & Georgia Allen at the 2009 NCHA Futurity Sale in Ft. Worth and is currently being trained and shown by Billy Bob Moore of Buffalo, Texas. Spotlights On Pepto is currently being shown by Billy Bob Moore of Buffalo, Texas. 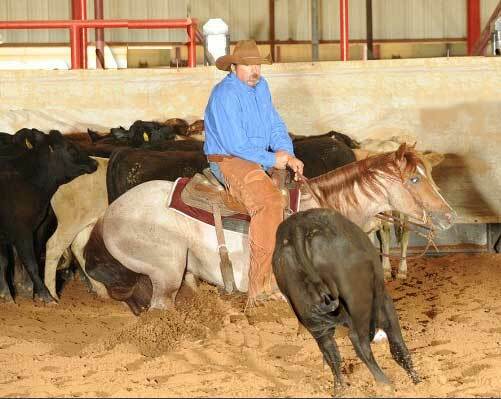 Billy Bob did all of the training from the time Spotlight turned 2 years of age. ©2013. Allen's Quarter Horses. All Rights Reserved.